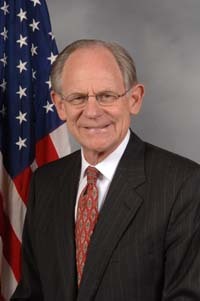 Michael Newbold "Mike" Castle (born July 2, 1939) is Delaware's lone member in the U.S. House of Representatives, currently serving his ninth term. Previously he served as a state legislator, Lieutenant Governor and two-term Governor. Castle is a member of the Republican Party and was ranked by Human Event's number nine on its list of top ten RINOs. He has voted with Democrats on abortion, Embryonic Stem Cell Research and the environment. Castle voted against a constitutional amendment to protect traditional marriage and was one of eight House Republicans who voted for the United States Cap and Trade program. Michael Castle announced he will run for the United States Senate in Delaware in 2010, however was defeated in the primary by conservative commentator Christine O'Donnell. This page was last modified on 6 August 2013, at 08:48.